Thank you to everyone who supported our team during the 2018 Season! We are busy working towards our 2019 competitions!! We still need sponsors for 2019 - If you can donate to our team click the donate button to the right and give what you can. All donations are tax deductible. For more information on sponsorship please reach out to us via our email engage@bullcitybotics.co. Enjoy some photos from 2018 and be sure to follow us on Facebook, Twitter, and Instagram! FRC® Team 6332 —Bull City Botics— is a robotics team which competes in the FIRST®Robotics Competition(FRC). FIRST (For Inspiration and Recognition of Science and Technology) is an international organization which strives to inspire students to work with technology and the sciences. 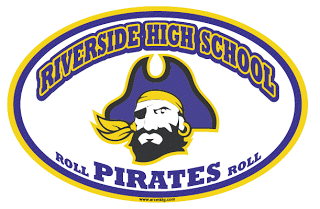 We are a first-year robotics team based at Riverside High School in Durham, North Carolina. Our mission is to provide a low-cost holistic engineering education to public and homeschool students in Durham through participation in the FIRST Robotics Competition, hosting summer programs, and organizing community enrichment events–all while creating environments in which all identities are made to feel safe and valued. To further improve our community and instill an appreciation for philanthropy, Bull City Botics hosts outreach events organized by student members. These events include family STEM nights, robot demonstrations at local elementary schools, and education sessions for younger students. In the future, our team hopes to found and manage robotics teams and summer programs at the elementary and middle school level. It is our intention to establish a “pipeline” of sorts–a continuous and rigorous holistic engineering education from kindergarten to college. We will create a Durham in which every student has the opportunity to gain the skills to create, communicate, and advocate with efficacy.